Replacement: None. We are no longer carrying this sub-assembly for the UberTracker. This page is for reference only. These are sub-assemblies from the last production run of the UberTracker. 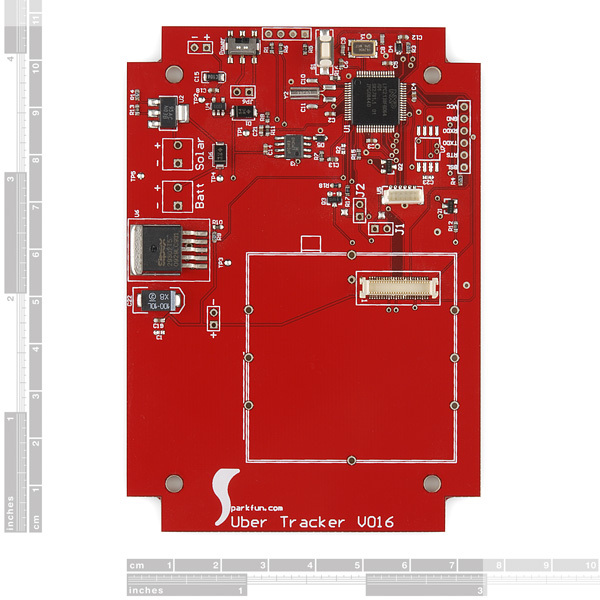 We're no longer sourcing some of the parts of the UberTracker assembly so it's on its way out of the catalog. In the meantime, we have a small stock of sub-assemblies including this main board. The main board is populated with a Phillips ARM7 LPC2138 controller and some supporting circuitry. It also comes populated with vertical connectors for the EM-406 and GM862 modules. 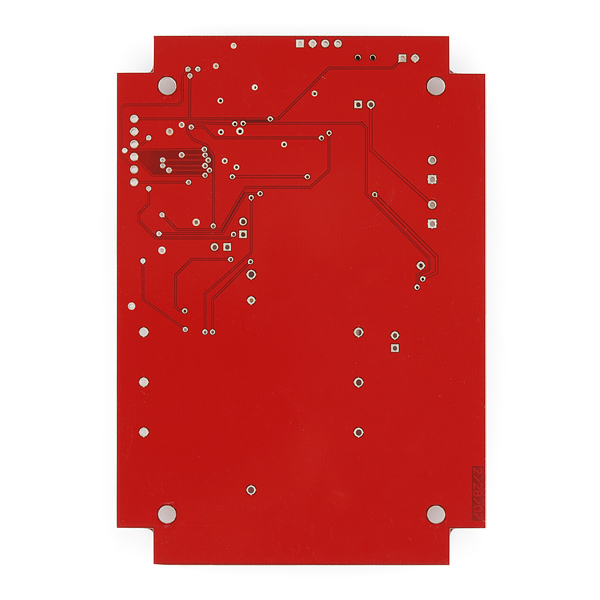 You get what you see in the product picture, which is to say the main board doesn't include the modules, power management, cellular interface circuitry, enclosure, etc. 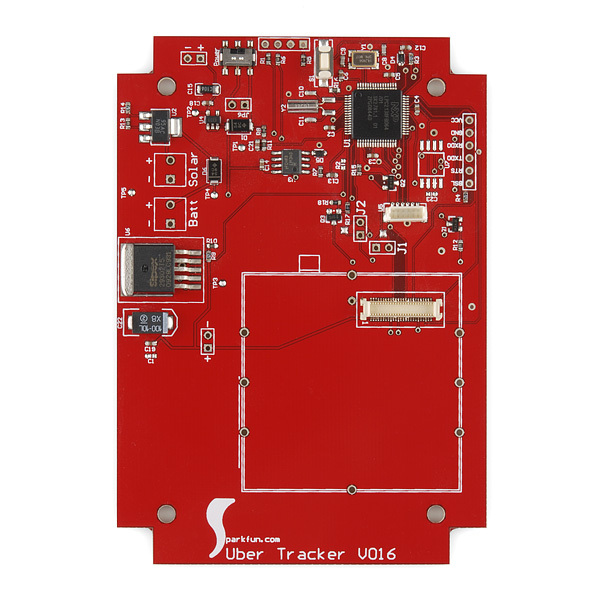 If you want a replacement for your UberTracker or you happen to be working on a project that needs the LPC controller and support circuitry then this may not be a bad 'jumping-off' point. 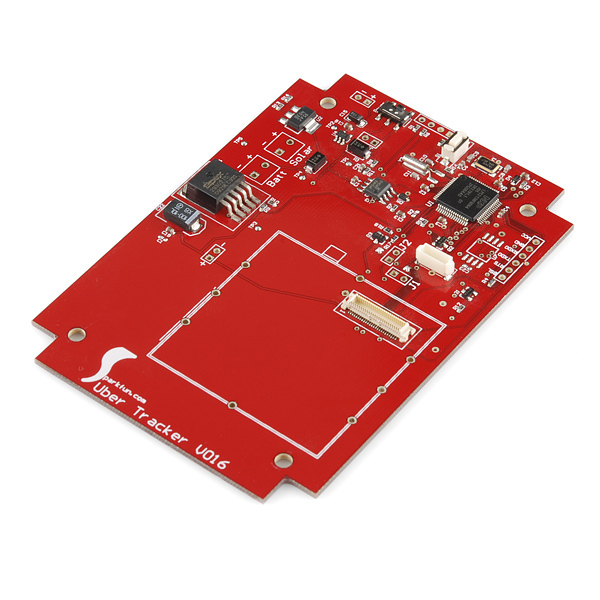 Note: This is the main board assembly only and does not include cellular module, GPS module, antenna, enclosure or power management. Good eyes! It is kind of neat to see the retro logo. Yeah I kind of wish you guys did crappier work and had more dings and dents. Or had any actually I soon will be learning to surface mount solder and so I am in need of very cheep parts to burn... Maybe learn how to use a wick and remove some old radio parts, solder them back on... Ninja chuck in the trash? I don't see anything resembling the large 5-pin (looks like a TO-263) IC in the schematic. What is it?